Born in Key West and raised in Tampa, where she was a Tampa Bay Buccaneer cheerleader, Donna launched her career in the 1980's as a backup vocalist with Miami Sound Machine. She received numerous accolades in the late 1980's with her hit single, "Serious" (#20 on the Pop charts and #5 on the R&B charts), from her first album "Perfect Timing". 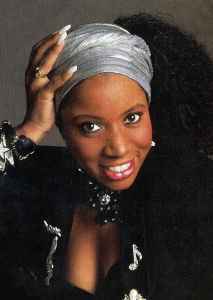 Donna’s second hit was "Real", produced by Jon Secada and Emilio Estefan, Jr., for Sylvester Stallone’s film "The Specialist". She has also worked with numerous other recording artists, including Shakira, Jon Secada, Jennifer Lopez, Soulsearcher, Deepstar and many others.